Application: • All trucks,tractors,construction machinery,RV etc. Guchen Industry as the leading HVAC manufacturer and supplier in China is always devoted to solving customers’ HVAC problems. We not only supply the bus air conditioner, but also can help customers solve the truck HVAC problems. 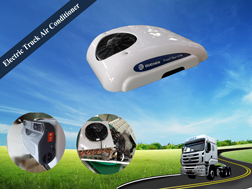 We designed our Ecooler series air conditioners for truck cabin. 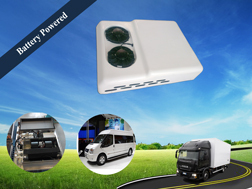 The Ecooler truck cab air conditioner is battery powered aircon. 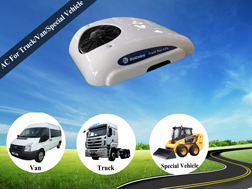 Compared with vehicle engine truck cab air conditioner, it can save more fuel per year. 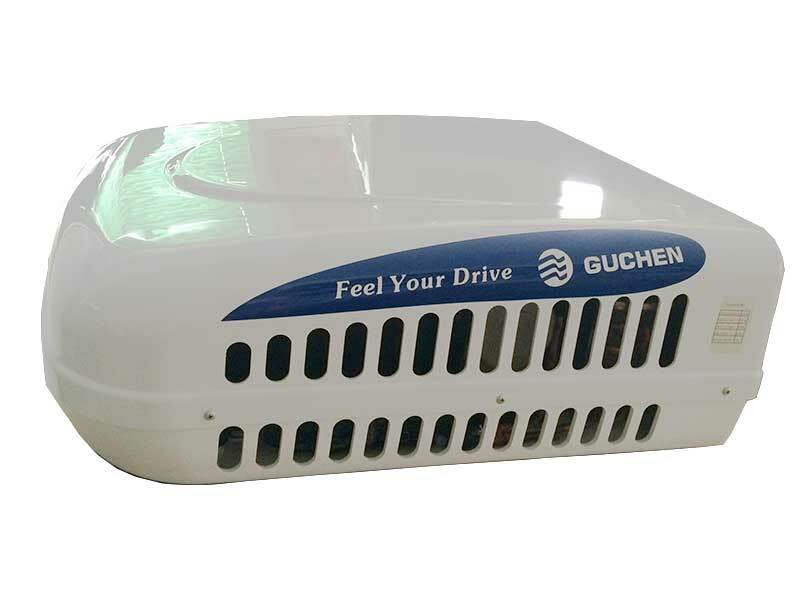 Guchen Ecooler 12 volt truck cab air conditioner for trailer (or 24 volt) is also called as No Idle truck ac or no idle air conditioner. It means that when truck engine stops, but cooling can continue! 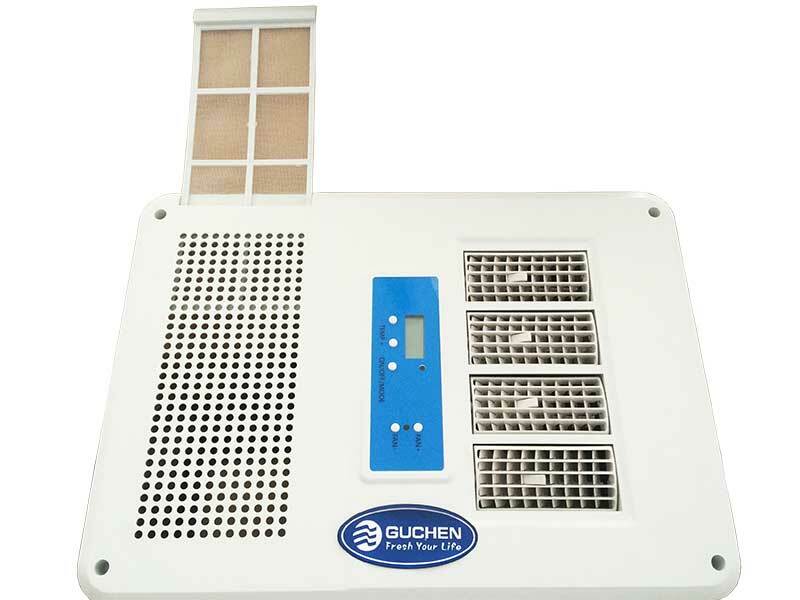 Guchen Ecooler electric air conditioner for truck cab has a dismountable filter screen in return air inlet, so you can clean it regularly in case the dust blocking return air inlet. So it is a very convenient design for users, who can clean it for more fresh cool air. 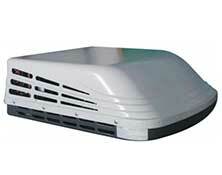 The Ecooler 12 volt air conditioner (or 24 volt) installs the fresh air system, so it can keep air fresh in cab. The Ecooler electric air conditioner for cars (or 12 volt) only takes up to 0.1 m³, and saving space much more. There are very little shock for the Ecooler truck cab air conditioners and no noise, which gives the truck driver a pleasant condition. Guchen can supply the detailed and simple installation manual for customers. And the Ecooler no idle truck ac is very easy to install, even for those who have no idea on how to install it can install it on the truck cab easily. Here is Guchen Ecooler 2400 electric truck cab air conditioners install on the roof top of truck cabins, working well, very cool air! Here is Guchen E-cooler 2400 24 volt air conditioner applies on the excavator in Mexico. Guchen customer, Mr. Aaron as a heavy duty truck rental company is very satisfied with this model of air conditioner. 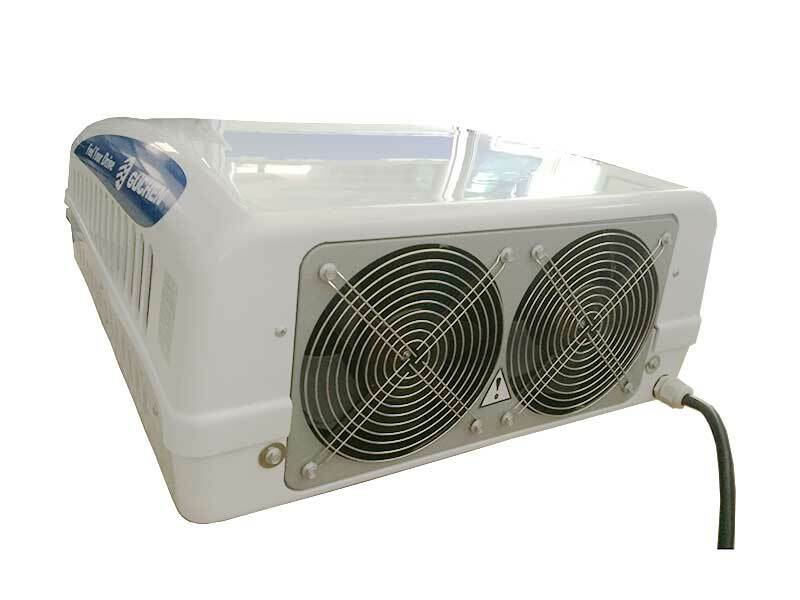 The local ambient temperature is up to 40℃+, and the air conditioner blow the cool air with a high performance. Here is Guchen Ecooler 2400 truck cabin air conditioner apply on the mining trucks in Iran, with the fresh air system and dismountable filter screen in return air inlet, it is very suitable for the mining trucks, customers can cleab tge ubket screeb very convenient, so it will not block the air inlet, and also the fresh air system can keep the air fresh in the truck cabin. 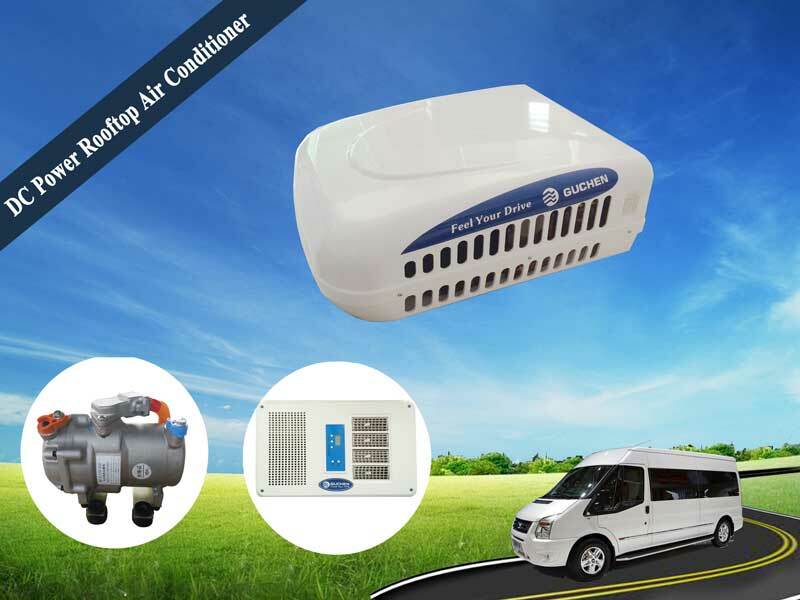 Here is Guchen Ecooler 3200 air conditioner applies on the small RV (or vans), it connect 24 volt DC powered battery, and 3200W cooling capacity, the condenser is on the roof top of RV, evaporator is in the inner side of RV for blowing cool air. Another advantage is that it is very easy to install for electric air conditioners, so customers can install it quickly and easily. What can We Offer to Customers? All trucks, RV,van, tractor etc.